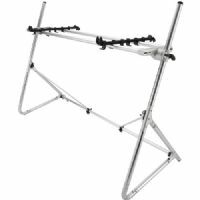 When you buy a Quik Lok stand, you just don't buy any "X" stand, you invest in a expandable system that can be configured in a variety of ways to fit any keyboard players' needs. The silver Tier Adapter for Large-Size Standard Series Keyboard Stands from SEQUENZ is a dedicated accessory that allows the keyboard stand to support a two-level setup. 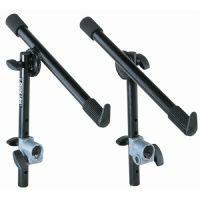 In addition, two keyboard holders are included. 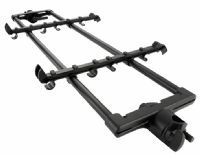 The black Tier Adapter for Large-Size Standard Series Keyboard Stands from SEQUENZ is a dedicated accessory that allows the keyboard stand to support a two-level setup. In addition, two keyboard holders are included. 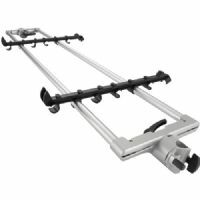 The silver Tier Adapter for Medium-Size Standard Series Keyboard Stands from SEQUENZ is a dedicated accessory that allows the keyboard stand to support a two-level setup. In addition, two keyboard holders are included. 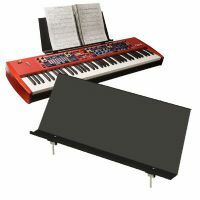 The black Tier Adapter for Small-Size Standard Series Keyboard Stands from SEQUENZ is a dedicated accessory that allows the keyboard stand to support a two-level setup. In addition, two keyboard holders are included. 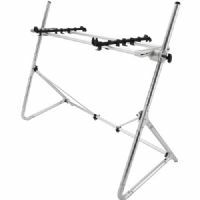 From Sequenz comes a new standard in A-frame-style keyboard stands. 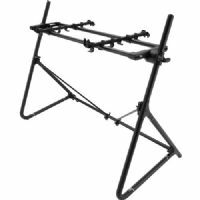 The black Standard-L-ABK Standard Keyboard Stand for 88-Note Keyboards from SEQUENZ is lightweight and durable to support your keyboard setup. 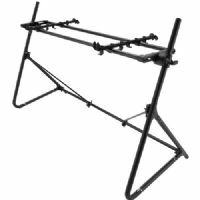 When disassembled, it becomes compact and portable.